In the opening match of the T20 series between India and world champions West Indies in Eden Gardens, Kolkata. 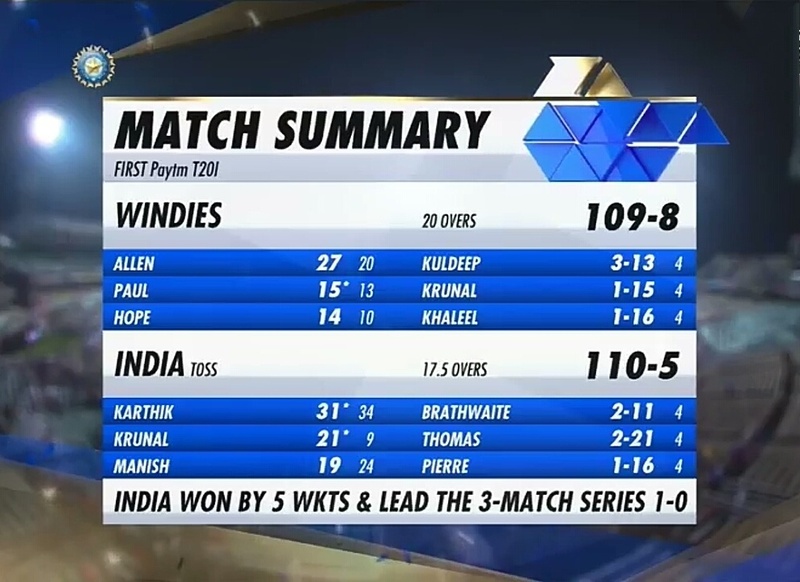 The Indian surged past the Windies team and won the match by 5 wickets with 14 balls to spare. 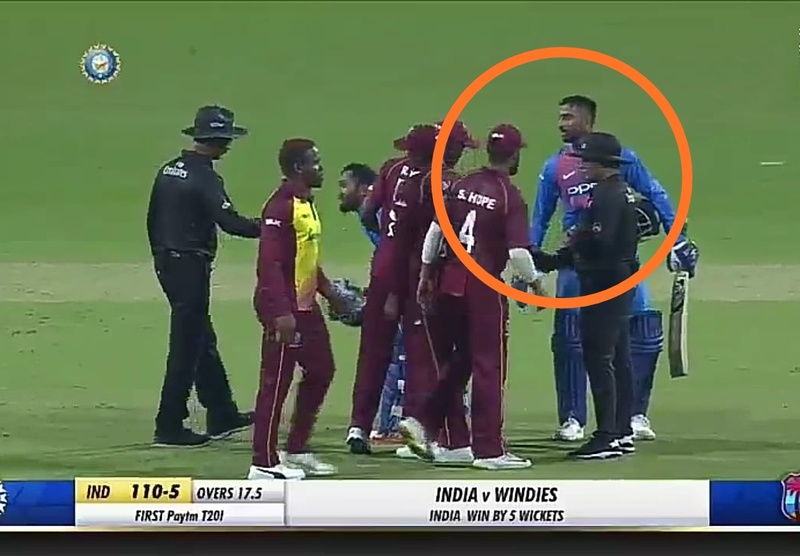 After winning the toss, Rohit Sharma invited West Indies to bat first. Earlier, the Indian bowlers kept the line and length tight and bowled the basic well. 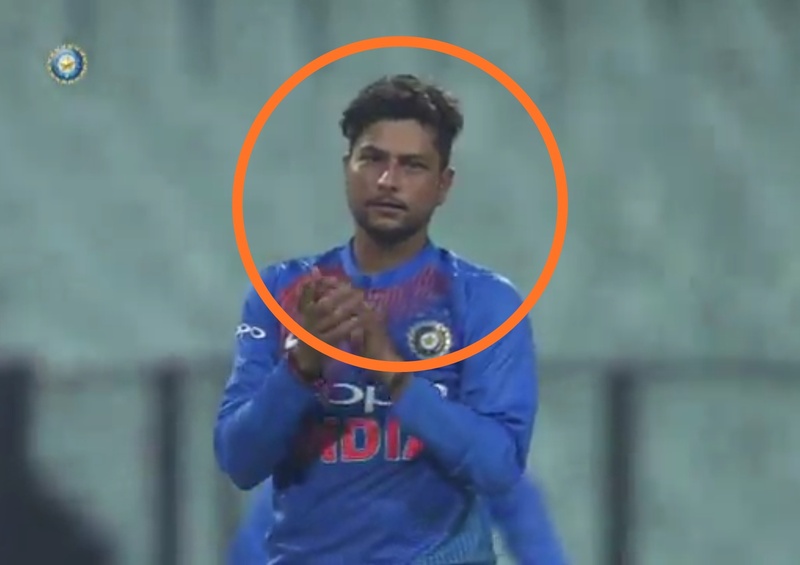 Especially, Kuldeep shocked everyone with his performance, he bowled the economy of 3.25 in 4 overs and took 3 wickets, apart from him, Krunal Pandya, who played his debut match, also bowled tremendously well in middle overs. 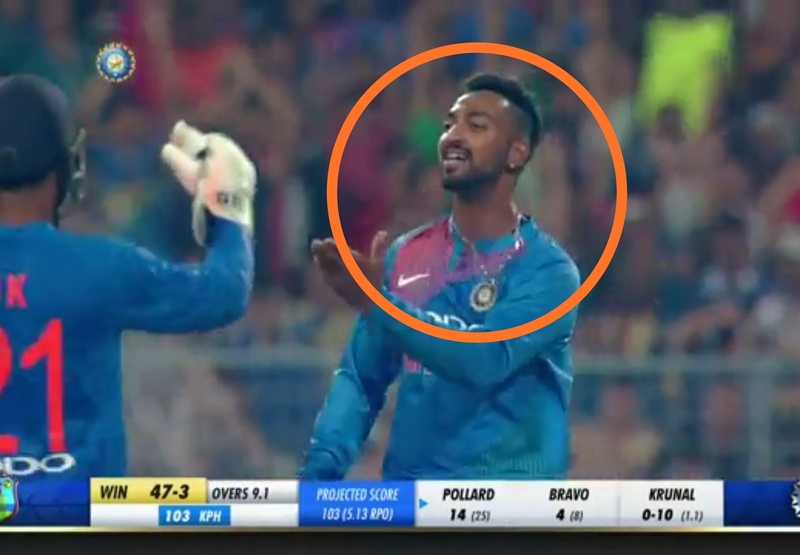 Krunal gave only 15 runs in his quota of 4 overs, with an economy rate of 3.75 and also picked the big wicket of Pollard. Thanks to their excellent bowling, the West Indies made the lowest score against India in T20ls ever. 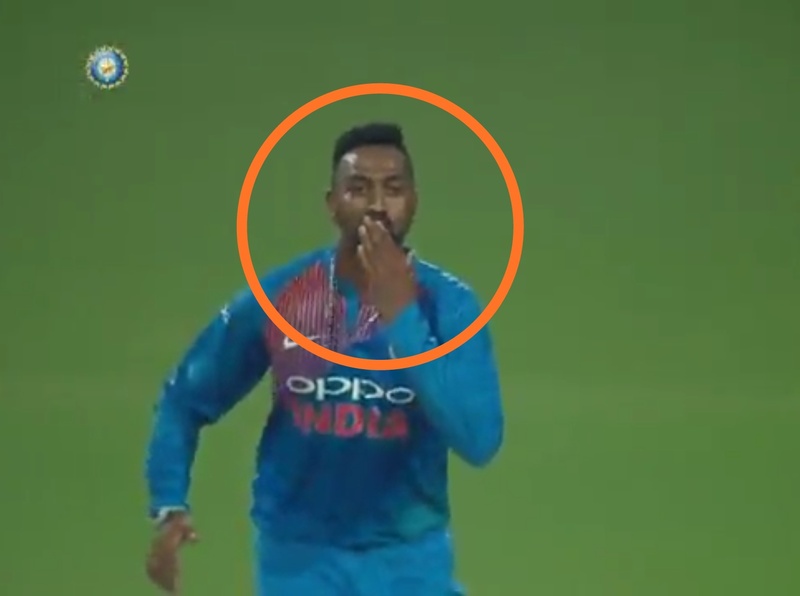 Apart from his bowling, Krunal Pandya scored 21 runs in 9 balls to give India the victory. At the same time, he has done a wonderful record in the debut match. Infact, Krunal Pandya has become the only player who has economy of less 4 and scored with over 200 strike rate while batting. No player has ever been able to do this record before. CricketGalore © 2019-2020. All Rights Reserved.